Saturday, June 3, 1837.Springfield, IL. 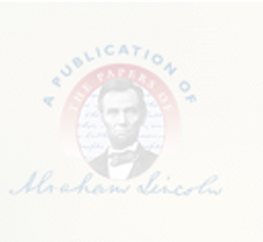 Lincoln records in firm's free book, "Deposition to be taken on 3rd June" in Dingman v. Dearing. Stuart & Lincoln represent the appellant, Jemima Dingman, administrator of Abraham Dingman's estate, Walker & Hewett and Baker & Logan represent the appellee.Fee Book.